By now you should be pretty comfortable with the concepts of expressionism, realism, and formalism as modes of modernist art: What is the primary aim of each? How does each use the elements of art (line, shape, color, etc) to achieve its aim? How does the viewer judge the success of works in each mode? The idea and practice of art as expression (with a lower-case ‘e’) stretches all the way back to Ancient times, but ‘modernist’ expressive artists became much more willing to depart from the visual appearances of things to convey powerful emotional effects. Be able to analyze in some detail how any of the works below use formal elements (line, shape, brushwork, perspective, color, and so on) to make an emotional impact on the viewer (i.e. to 'tell' her or him how to feel about the subject being represented). We already saw this modern understanding of expressionism in the Symbolists Van Gogh and Gauguin, of course. 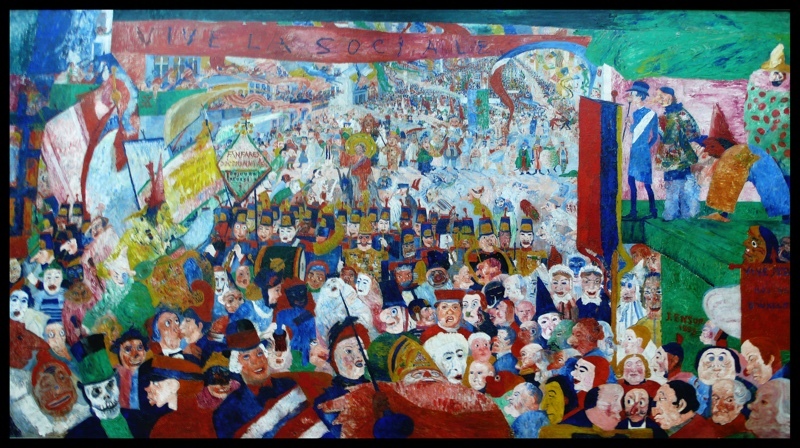 How is it also true of Ensor, Rouault, and Munch? 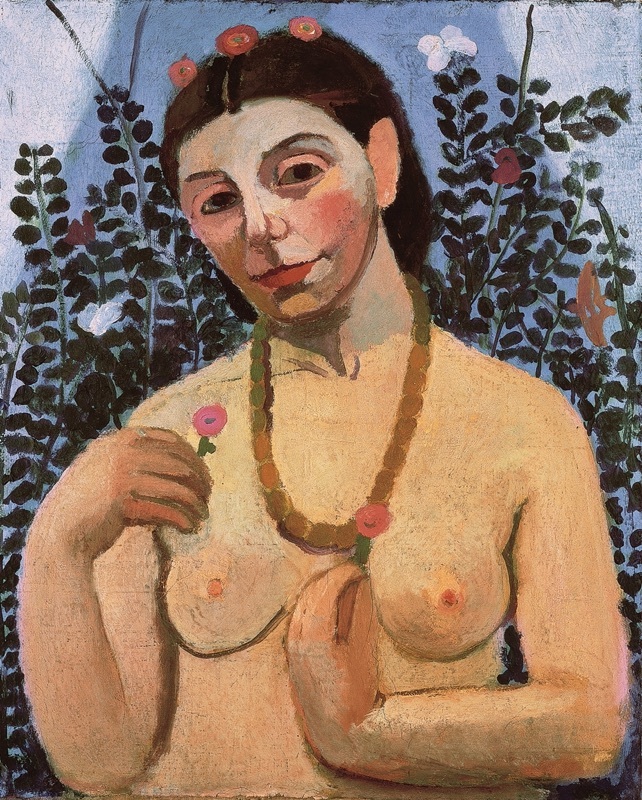 Why do masks and prostitutes so often appear in expressionist works? Your textbook puts Fauvism in a chapter entitled “Expressionism”: how is this justifiable? On the other hand, how is Expressionism generally distinguishable from Fauvism? 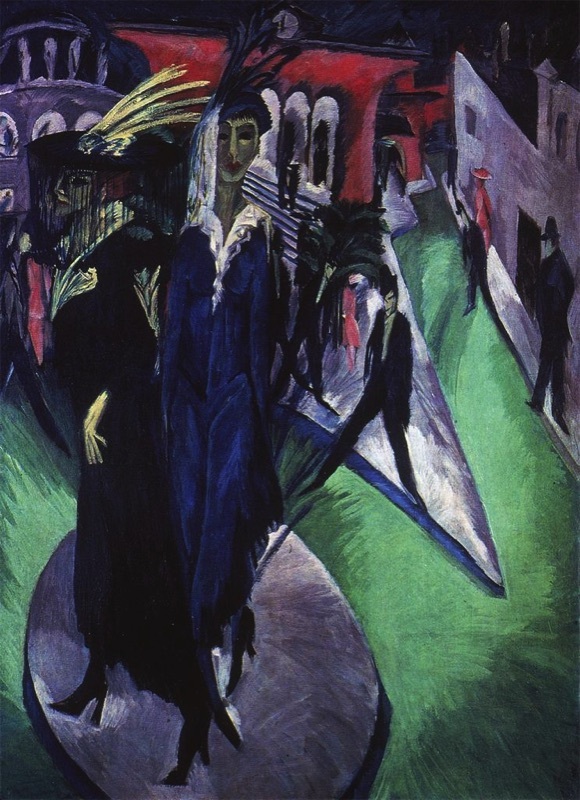 Expressionism (with a capital ‘E’) is also the name of a group of artistic movements, primarily in Germany, starting around 1905 and lasting well into the 30s and beyond. 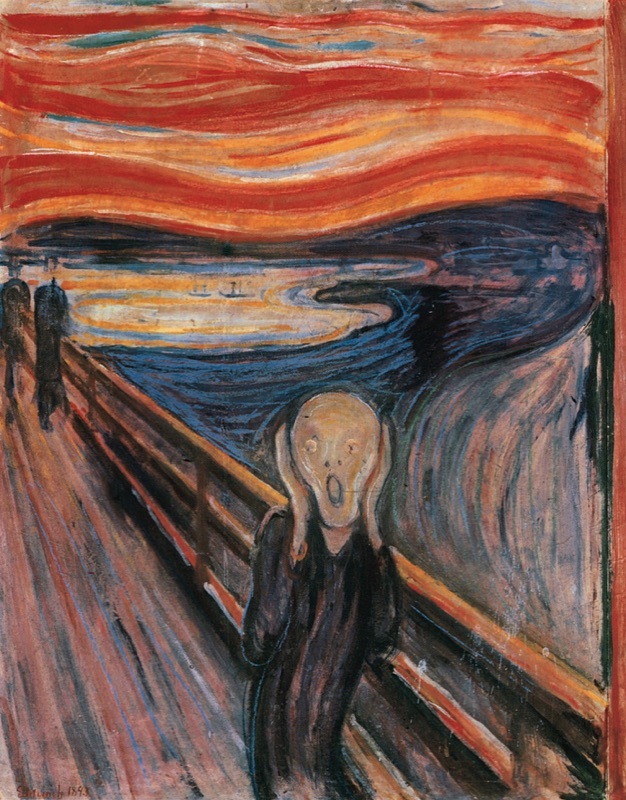 Why was Expressionism (and the emotional condition of angst) particularly associated with and embraced by Nordic (German and Scandinavian) artists, writers, film-makers, and philosophers? • social criticism, particularly of the bourgeoisie, technology, and city life. Like the Symbolists, then, the Expressionists were generally anti-modern modernists. 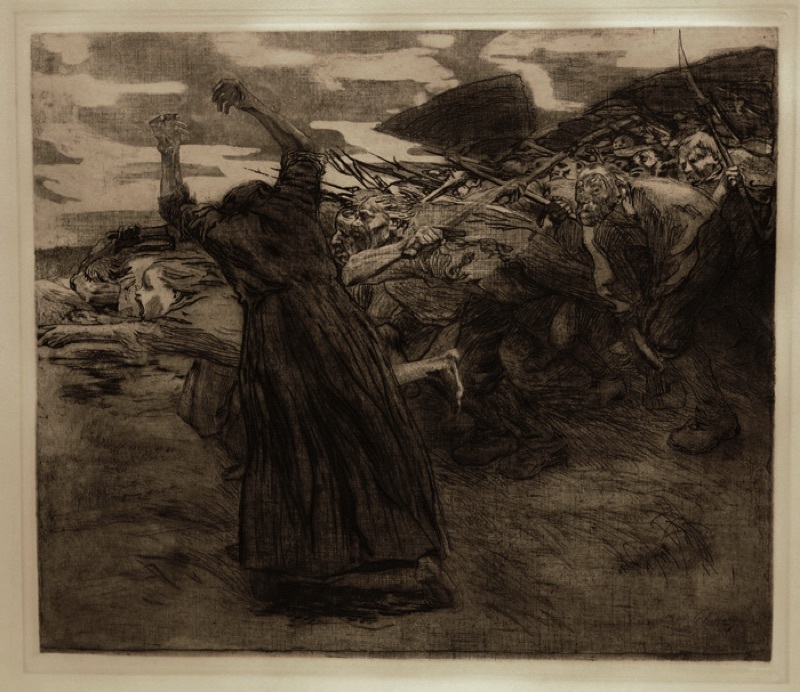 The use of art to criticize current social conditions (and the ruling classes) has become stereotypical of modern artists, but was relatively uncommon before the 20th century. Why? • primitivism, a celebration of nature, rural life, and the proletariat/peasants. We already saw this theme in Gauguin and the Symbolists, of course; all the same issues apply here (primitivism and the non-Western, primitivism and religion, the crude, primitivist style as authentic, etc). 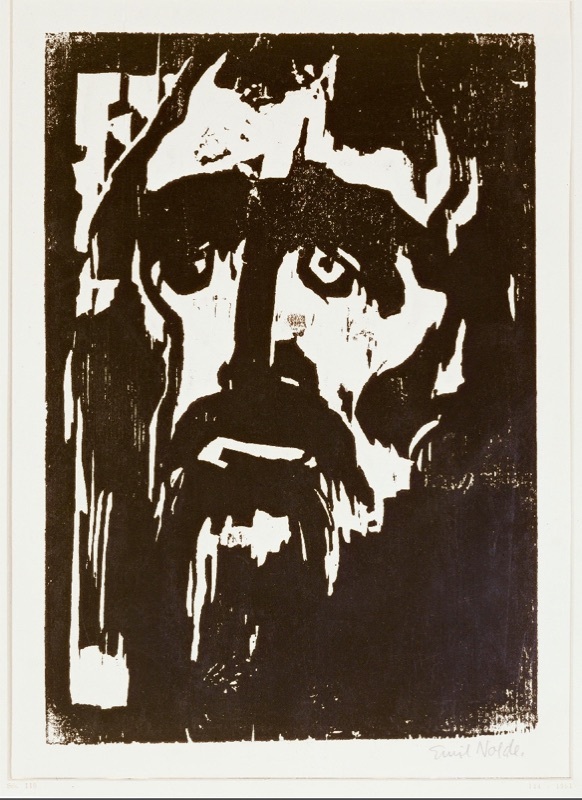 Why was woodcut printing the perfect medium for the Expressionists? How do the works below exemplify one or the other (or both) of these themes?